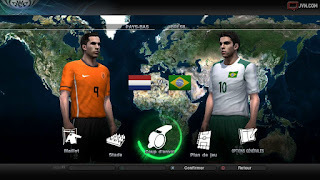 Brazil Unlicensed In PES 2011?! There's not much to discuss. Here's a screenshot showing Kaka wearing a "Bresil" shirt, which suggests that Brazil aren't licensed this year in PES.